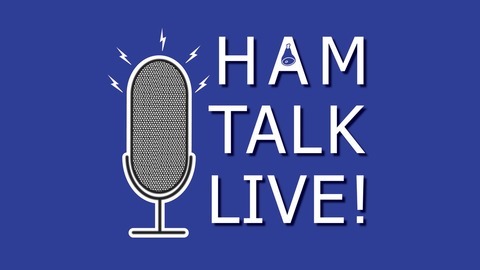 Thursdays at 9 pm Eastern Live call-in talk show about Amateur (Ham) Radio Hosted by Neil Rapp, WB9VPG Twitter: @HamTalkLive Facebook: facebook.com/HamTalkLive Instagram: HamTalkLive Email: contact@hamtalklive.com Web: HamTalkLive.com Call-in Line: (812) NET-HAM-1 Show Schedule: www.neilrapp.altervista.org/hamtalklive/schedule.html Thanks to our sponsors: Tower Electronics - www.pl-259.com ICOM America - www.icomamerica.com/amateur Go to our Facebook page or Twitter feed for information about events (like our LIVE broadcast from Dayton!) or updates from past shows. HAMVENTION PREVIEW IS HERE! We are kicking off the first week of Hamvention preview with Paul Stoetzer, N8HM, who will be on Ham Talk Live! to take your calls about the AMSAT Academy and other activities offered by The Radio Amateur Satellite Corporation (AMSAT) during the 2019 Dayton Hamvention. Tune in to find out about the academy, how to register, and all the other opportunities to learn and watch satellite communications in action. Be sure to CALL in with your questions and comments by calling 812-650-9556 live during the call-in segment of the show. 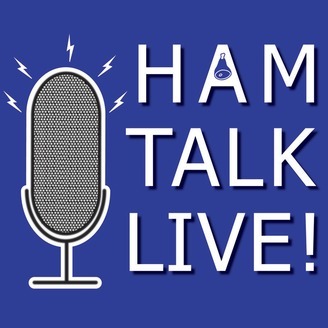 You can also tweet your questions before or during the show to @HamTalkLive. Episode 157 - Youth Contest Team for CQWW WPX at K3LR "Team Exuberance"